As a grassland scientist and sustainable business advisor, I’ve been working for years to help define sustainable beef production and develop incentives for ranchers, farmers and other supply chain stakeholders. What I’ve learned during this journey is that while there are exciting advances occurring in the beef sector, sustainability marketing is a Wild West of (mostly unintentional) greenwash. The language on beef retailer and producer websites often features vague, unsubstantiated sustainability-related claims. This results in confusion about what these claims mean in terms of measurable, verifiable benefits for the health of ecosystems, people, and livestock. There are two positive trends. First, major retailers (e.g., supermarkets, restaurants, brands) are pursuing marketing opportunities to appeal to consumers who seek "sustainable" food that they can trust to be less impactful to our environment and public health. 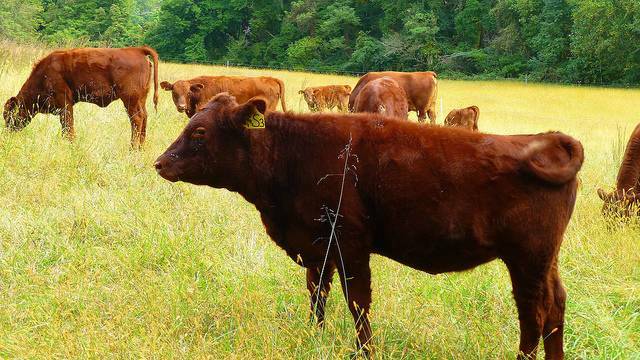 Rising demand for verified sustainable beef is a potentially game-changing development. As famed sustainable farmer Joel Salatin, emphasized, “for ecological farming to thrive, we need a cultural shift to ecological eating.” Many in the sustainability community believe that working together with institutional buyers to achieve this goal will incentivize transitions to more sustainable production practices. The idea is to drive more business to both the best-performing producers and those continuously improving – generating a “race to the top”. A second important development is the rise of a small, growing cadre of “regenerative” ranchers. Despite these two positive signs, the vast majority of the beef sector is not yet on the path toward sustainability. Globally, it is lagging well behind the other top drivers of deforestation and environmental degradation, including palm oil, timber/pulp, soy and sugar. This lag is glaringly evident in the marketplace, where confusion reigns. Current practices for marketing sustainable beef make it almost impossible for beef buyers to distinguish credible sustainability leaders, recognize the scope of benefits they are generating for people and planet, and reward them with more business. Sin of the Hidden Trade-Off: “A claim suggesting that a product is ‘green’ based on a narrow set of attributes without attention to other important environmental issues.” Grass-fed and pasture-raised beef, for example, is free of the disturbing impacts of industrial livestock production. However, unless it is produced on grazing operations that are independently certified or verified to be well-managed, they may still be overgrazed, polluting streams, and harming wildlife. Sin of No Proof: “An environmental claim that cannot be substantiated by easily accessible supporting information or by a reliable third-party certification.” Many beef marketers claim that their beef is “sustainable” or “regenerative” without providing evidence such as a reliable third-party certification. Sin of vagueness: “A claim that is so poorly defined or broad that its real meaning is likely to be misunderstood.” Again, hello to those marketing “sustainable” and “regenerative” beef. What do you mean, specifically? Sin of worshiping false labels: “A product that, through either words or images, gives the impression of third-party endorsement where no such endorsement exists.” One example is beef marketers claim that their beef is produced on “sustainably operated ranches”. Other brands tout use of Holistic Planned Grazing, which conveys that producers used an increasingly popular management framework. In itself, that does not verify whether these ranches are generating environmental and other benefits. How can you prove it? Sin of Lesser of Two Evils: “A claim that may be true within the product category, but that risks distracting the consumer from the greater environmental impacts of the category as a whole.” For example, beef may come from cattle raised without growth hormones, but that claim distracts the consumer from far more serious environmental and public health impacts of beef production. Sin of Fibbing: “Environmental claims that are simply false”. I’ve observed this on more than one occasion. In fact, seeing it firsthand inspired my work developing solutions to help buyers recognize credibly more sustainable sources! Furthermore the Guides advise that, “to avoid deception, marketers should use clear and prominent qualifying language that limits the claim to a specific benefit or benefits.” There can be damaging legal (and thus reputational and business) consequences for brands making unsubstantiated claims. Which brands might be vulnerable to these and other greenwash-related risks? How can they make their claims in a more accurate, transparent manner? In my next post, I’ll constructively dig deeper into the limits of some of the most common green marketing claims in the beef sector. Jonathan L. Gelbard, Ph.D. is Principal and Senior Conservation Scientist at Conservation Value Solutions. As a researcher, writer, speaker, and advisor, he digs deep to identify root causes of problems, and catalyzes transformative solutions. Dr. Gelbard was Senior Scientist at the Grasslands Alliance, a partnership between NGO’s, certifiers and ranchers that developed and piloted a comprehensive certification standard for U.S. and Canadian beef cattle and bison grazing operations. The Grasslands Alliance is currently fundraising to support its development of certification and continuous improvement programs.